WINCHESTER MODEL 72 .22LR, SHORT OR LONG BOLT ACTION RIFLE, CIRCA 1940'S. WINCHESTER MODEL 72 .22LR, SHORT OR LONG BOLT ACTION RIFLE, CIRCA 1940'S. 25" tapered barrel. Factory open sights. Mint bore and functions perfectly from firing to mag tube feeding. All the original factory blue just fading at edges. Blued triggerguard and swepted back bolt handle. 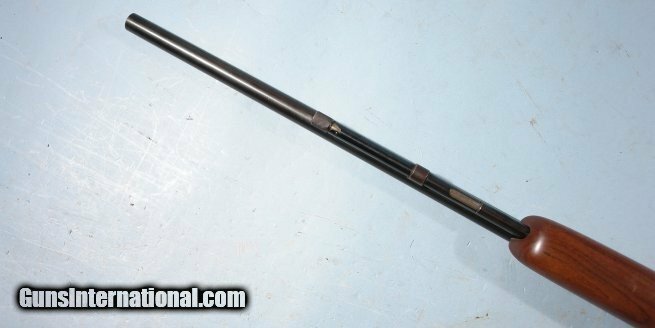 Factory (long forend-later)stock with original factory finish as well with only slight handling marks. 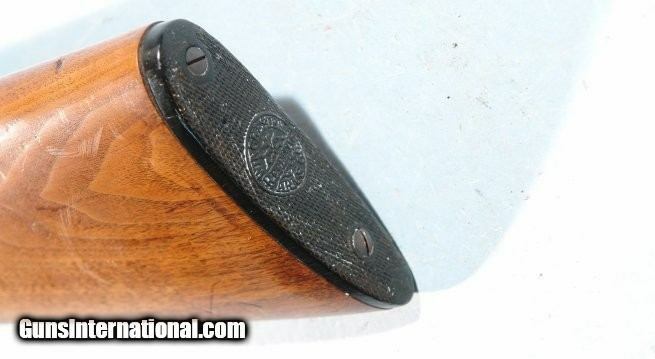 Winchester buttplate original. Magazine holds 15 .22lr rounds.